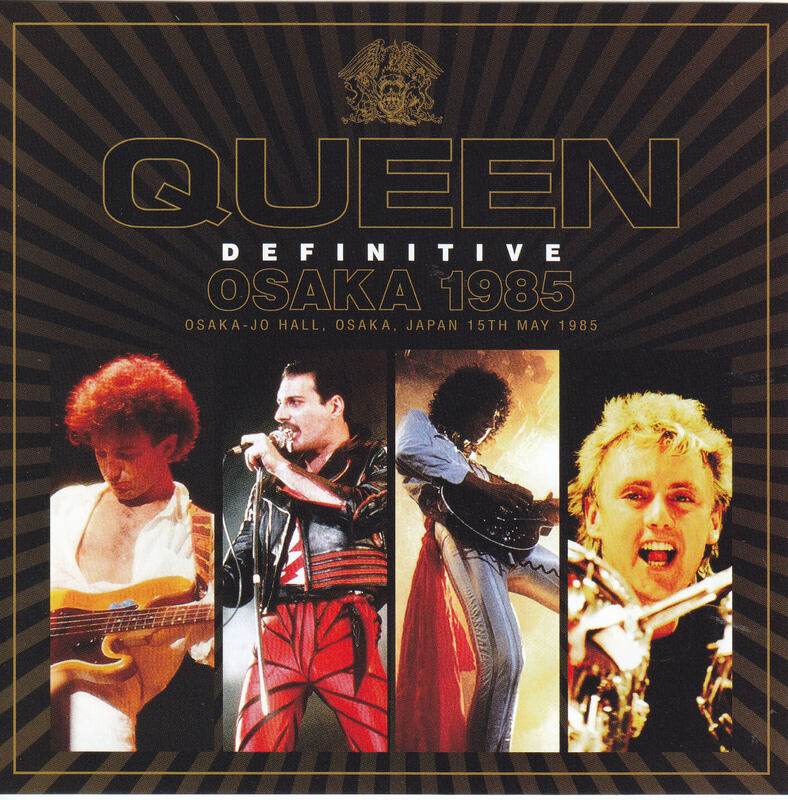 QUEEN The legendary famous masterpiece that recorded the last Japanese performance brush up. One shining at the top of the whole world and all carriers has appeared after updating the highest peak. That “top board” is “May 15, 1985: Osakajo Hall” performance. 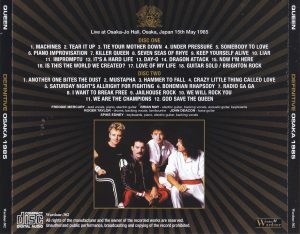 QUEEN This is the ultimate audience recording which was the last day of the Japan tour which will be the 6th time and recorded the last Japan stage of genuine Freddie. This week, this ultimate live album is released at the same time from this last visit to Japan. Let’s organize the vertices of each day here. Over all, 5 shows. It is exactly what DEFINITIVE collections are lining up, but this work is one too special one among them. Anyway, it is the last live in Japan left by Freddie, but the sound quality is more than that. I wrote “simultaneous release of” DEFINITIVE BUDOKAN 1985 2ND NIGHT (Wardour-154) “commentary” I contend 1 or 2 “, but this rival is his work. Loved as “LAST CONCERT IN JAPAN” for many years, it is master who has been called “the No.1 of all audiences recording” majestically at the sound source site abroad. To tell the truth, both works are wonderfully different from each other, just like a story of a dimension such as “Hiroko Yakushimaru and Tomoyo Harada are both cute?” However, the personality is clearly different, and “DEFINITIVE BUDOKAN 1985 2ND NIGHT” can taste the spectacular of the expanding Freddie’s singing voice, but this work is completely tight-fitting. It is the type of ringing that is the soundboard type, you can feel four people on the immediate side. 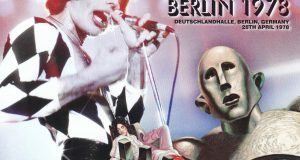 A huge big cheer can be felt on the “far side” of extreme performance, and if you listen without knowing anything, it is a superb superb sound that makes you feel like an FM broadcast or an official live album. This work digitizes such supernatural recordings from the original master and is the highest peak in the highest peak honed with the meticulous remastering of the 2018 standard. Of course, the whole sound has been thoroughly reworked, but the biggest point of attention is completely overlooked the disadvantages that have been overlooked (or say, the point that the basics were too great to be considered a fault) It repaired. One is a stereo feeling. If you have a conventional board, you’d definitely want to hear it with headphones. 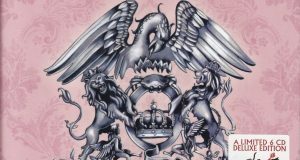 From the middle stage of the show “Is this the World We Created?” To the final stage “Radio Ga Ga”, I think that you will notice that you are closer to the right channel. This is as it was recorded in the master cassette, but this work correctly restores the balance. I made it to finish soaked in a full show with a natural stereo feeling. The other is a missing part. In the original cassette, “Radio Ga Ga” midfield was missing, and there was no recording even after “I Want To Break Free” middle stage. Although this part was supplemented with another sound source even in the conventional board, this work is redoed from the first place. While it was connected only with the previous episode, this work seamlessly connects thoroughly from sound texture to stereo feeling. Until now I felt “Oh, my master changed in Coco”, but this work has been finished “I changed things in a while” even if I am paying attention with headphones. This gapless unity sense is really wonderful. 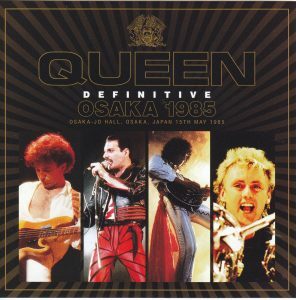 To tell the truth, in Osaka, which was also the last day of the World Tour, Freddie’s voice is rough and it does not reach the best “DEFINITIVE BUDOKAN 1985 2ND NIGHT”. However, in a word, one voice was last in Japan. Listen carefully to their breath, passionate performances, soak in them thoroughly … When you look at the role of such books, the sound without gaps that is the source of excitement is supreme. And, because the content is also the last show. Of course, I thought that Freddie of the time was not the last Japan, but since it is the last day, there is enthusiasm that squeezes not thinking about tomorrow, and play is included everywhere. In the piano · Impro in front of “Killer Queen”, a passage of “My Fairly King” and “March Of Black Queen” is shown, and a passage of “Whole Lotta Shakin ‘Going” jumps out in “Jailhouse Rock”. 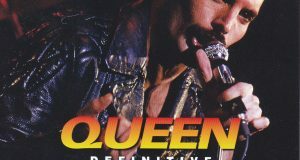 In addition, Elton John’s “Saturday Night’s Allright For Fighting” as a “Bohemian Rhapsody” intro is almost fully played for 3 / 1.5 minutes. The spirit and liberation of the thousand akakura that has survived the world tour is full. QUEEN who finished “THE WORKS TOUR” at this show returned to the country, the next stage is that LIVE AID. And none of the “four people” gathered to step on the land of Japan again. Yes, the engraved in this work is Osaka night which is too special for QUEEN for Japan. Ultra · decision board which can be immersed with transcendence quality asserted as “all No. 1 of audiences recording” all over the place. Please, please permanently save with permanent preservation press 2CD anytime, forever.